Climate change is a present reality for many of the world’s poorest people. The latest United Nations’ on climate change released early this week contains overwhelming warning on the adverse impact of the changing climate, especially on the world’s poor people living in low-lying nations. 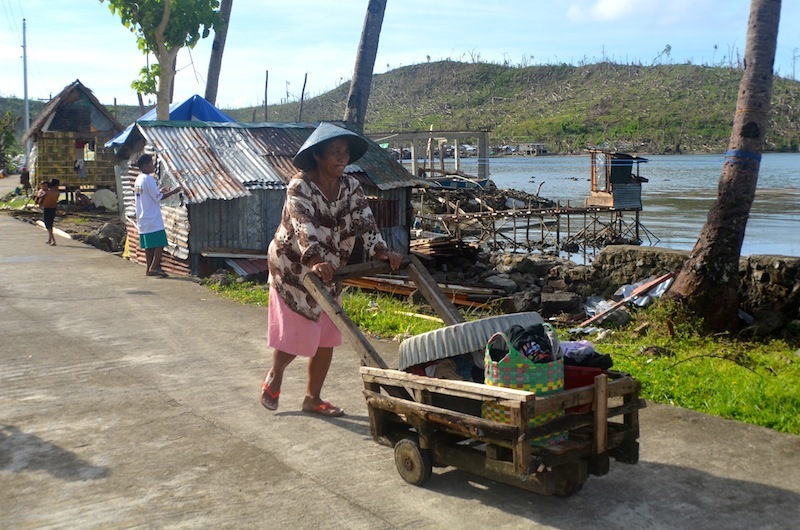 For vulnerable countries like the Philippines that have experienced extreme climate disasters like the recent super typhoon Yolanda where more than 6,000 people died and millions of people left homeless, climate change is happening now. Such is the case of Abigail Cajeles, 20, a mother of two whose situation is tough as her family and her neighbors cope with poverty and survival after a super typhoon destroyed their small houses, livelihood and everything they possess were gone. “ Maybe we are not just lucky in life. We are poor and we are heavily devastated by typhoons and other calamities. But we still have faith and we need to be strong in order to survive,” Cajeles said. The UN’s Intergovernmental Panel on Climate Change (IPCC) report on the impacts of climate change to date, the future risks from a changing climate, and the opportunities for effective action to reduce risks. It paints a picture of a complicated future for humanity. “Throughout the 21st century, climate-change impacts are projected to slow down economic growth, make poverty reduction more difficult, further erode food security, and prolong existing and create new poverty traps, the latter particularly in urban areas and emerging hot spots of hunger,” the report stressed. The report warns that there will be massive impact on food security driving global hunger in tropical countries and developing countries. It said that there will be “large and irreversible shifts” in marine species while food and farming will have negative impacts with or without adaptation measures. It also highlighted that food prices will increase with disproportionate impact to poor communities and rural areas. With less capacity to produce food, poorer communities will be pushed further into misery. It warns that at just 1 degree Celsius of warming we’ll see negative impacts on major crops like rice, wheat and maize. The report warns that impacts will worsen as temperatures rise and threaten people everywhere. It predicts, for example, that without adaptation “hundreds of millions of people will be affected by coastal flooding and displaced due to land loss.” The majority of these people will be in Asia. · Reduction of raw water quality and risks to drinking water quality and quantity. Each degree of warming is projected to decrease renewable water resources by at least 20% for an additional 7% of the global population. “ Poorer communities tend to be more vulnerable to loss of health and life, while wealthier communities usually have more economic assets at risk. Regions affected by violence or governance failure can be particularly vulnerable to climate change impacts,” the report said. In the Philippines, climate activists said rich countries “lack political will” to address climate change, and that it is the poorest nations who suffer most of the worse effect of the changing climate. Civil society groups, Aksyon Klima Pilipinas, Greenpeace and Oxfam urged the Aquino government to take the first step by allocating funds for the People’s Survival Fund (PSF), which by law should finance the adaptation plans of local government units (LGUs). Adaptation plans include setting up early warning systems and contingency planning for extreme weather events such as droughts and floods. In a statement, the groups said governments of the world also “need to honor their responsibility and commit to scale up their adaptation and mitigation actions. And that after Yolanda, we also need to adapt to the best of our own abilities and empower communities so they can be more climate-resilient. 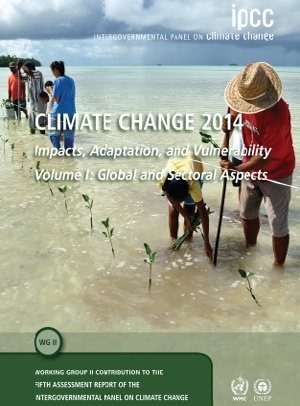 “The IPCC report however states that adaptation is not enough. We therefore need to integrate adaptation with mitigation strategies, such as transitioning to renewable energy systems,” said Amalie Obusan, regional climate and energy campaigner of Greenpeace Southeast Asia. In a statement, the Philippine Movement for Climate Justice, said rich countries “must act now” in curbing their greenhouse gas emissions that have contributed in producing extreme weather events like Typhoon Yolanda, along with adequate funds for countries like ours for adaptation, as well as loss and damages. The PMCJ added that due to the historical emissions from rich countries some impacts of climate change is “locked-in and we need to come up with policies and actions to adapt to that change.” The report also shows that the implementation of these adaptation actions will run into the hundreds of billions of dollars globally. Among the demands outlined by the Movement are: immediate, drastic cut of greenhouse gas emissions; end public subsidies to private fossil fuel corporations and shift to low carbon economies; financing for adaptation and building resilience projects and activities. Sandeep Chamling Rai of the WWF said the risks of collective inaction are greatest for developing countries. “The science is clear and the debate is over. Climate change is happening and humans are the major cause of emissions, driven mainly by our dependence on fossil fuels. This is driving global warming. This report sets out the impacts we already see, the risks we face in the future, and the opportunities to act. Now it is up to people to hold their governments to account, to get them to act purposefully and immediately,” Rai said. Earlier, Voltaire Alferez, national coordinator of Aksyon Klima Philippines said the country is at the frontline of all the major threats of climate change coupled with poverty and unstable economic condition. 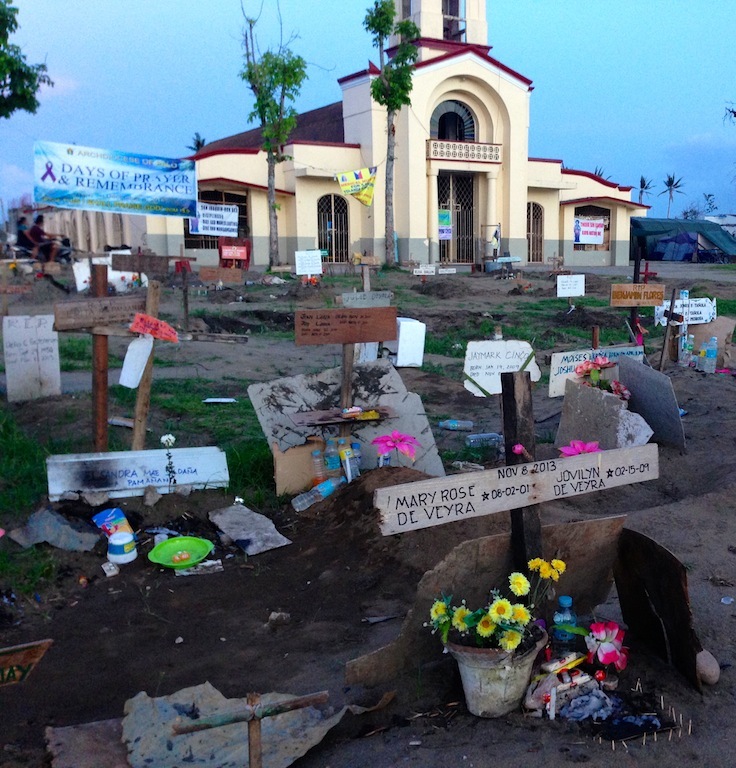 “What happens to the Philippines after Haiyan and other extreme weather events which have been fuelled by climate change? What happens to us and other countries when we feel the brunt of sea level rise, drought, and other slow-onset impacts? 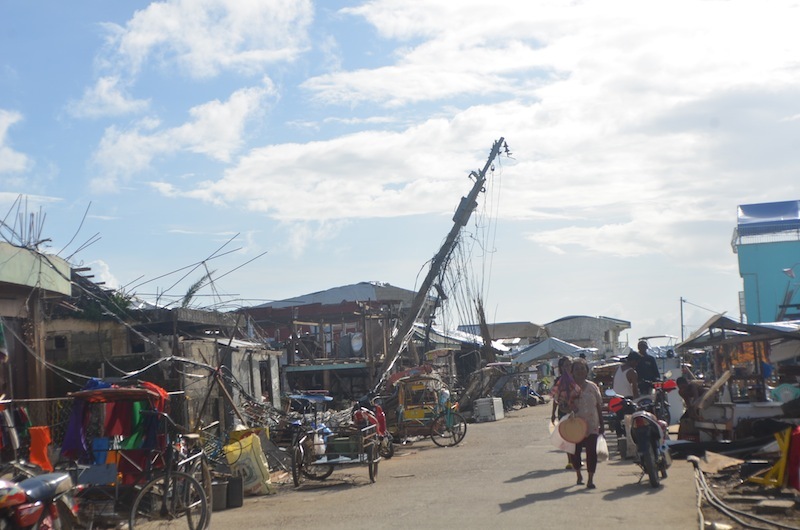 We in vulnerable countries will depend on these answers to recover, but developed countries want to avoid these questions entirely,” Alferez said. Only last month, Aksyon Klima, the DRRNetPhils, Ateneo School of Government, Center for Disaster Preparedness, World Vision, Christian Aid and Oxfam spearheaded a disaster risk reduction and climate change adaptation forum and mobilized more than 100 civil society organizations. “ Popularizing disaster risk reduction management (and climate change) issues in the public is key in strengthening local alliances,” said Adelina Sevilla Alvarez, lead convenor of the Disaster Risk Reduction Network Philippines (DRRNetPhils). The more than 100 CSOs came out with a statement saying that disaster risk reduction and climate change adaptation work must be integrated and mainstreamed in the rehabilitation and recovery process. “ While developing countries do not have a historic obligation and have not contributed much to the causes of climate change, rich and industrialized countries must support the developing countries in mitigating climate risks as well as support them for their adaptation programs,” Sering said. Sering added that renewable energy is key to solve the climate crisis. “ We need to scale-up clean energy sources. Renewable energy from wind, solar and hydro, for instance, has tremendous potential to meet our energy needs and confront the challenge of climate change,” Sering said. She said the CCC is keen in integrating disaster risk reduction and climate change adaptation measures in the development plans of the local governments. She said last month, the guidelines for action in incorporating DRR-CCA into sector-specific policy of land use planning has already been approved. Albay Governor Joey Salceda, who sits as the Co-Chair of the Green Climate Fund said “there is no doubt that climate change is happening now” and encouraged all countries to “urgently” mainstream disaster risk reduction and climate change at the local level. “ We have overwhelming science-based evidence that climate change is already being felt all over the world. We need to address this issue by seriously putting more funds to the climate change-related activities or projects. One smart thing to do is to empower the local governments in addressing climate change issues,” Salceda said. Interestingly, the latest IPCC report cited Albay Province for mainstreaming and piloting projects related to local disaster risk reduction and climate change adaptation. “These achievements were possible because of elected and local leadership; cooperation among national and local governments, private sectors, and communities; and the participation of boundary organizations, scientists and experts,” the report stressed. Last March, Salceda and Defense Secretary Voltaire Gazmin launched the country’s first Climate Change Adaptation and Disaster Risk Reduction and Management Training Institute (CCA-DRRMTI) in Legazpi to boost the emergency response capability of local governments in climate or disaster-related incidents. The training center is an initiative project under the Albay Public Safety and Emergency Management Office (APSEMO) and the Albay Climate Change Academy (ACCA).